Seamus's research will examine post-conflict masculine identities and spaces for engagement with militarized masculinities. 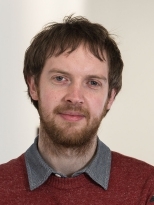 Seamus holds an MA in Peace and Conflict Studies from the University of Ulster and a BSc in Land Use and Environmental Management from Queen's University Belfast. During his MA he spent a semester at the Mauro Centre for Peace and Justice at the University of Manitoba studying "Intercultural Conflict Transformation". During 2012 and 2013 Seamus volunteered with a Slovak NGO based in Bratislava which provides services to and advocates on behalf of the minority Roma community and more recently has spent time teaching English in Spain. Seamus enjoys travelling, volunteering and large cups of tea.